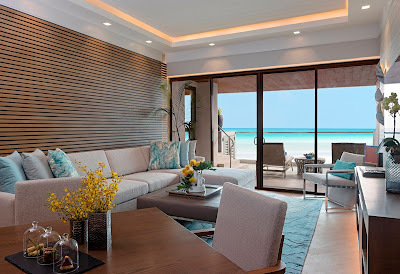 Following an extended hiatus brought about by the closure and rehabilitation of Boracay Island, Discovery Shores Boracay, the award-winning resort that offers the finest in island hospitality, is raring to reopen its doors once more this October. Waiting in the wings is a warm homecoming for our dear friends and guests—with a special treat in store! Enjoy a special and irresistible homecoming rate—valid until 31 December 2018, with a stay period of 30 October 2018 to 31 March 2019—of PHP 11,000++ per night in a Junior Suite inclusive of breakfast buffet at Sands Restaurant and round trip Caticlan Airport transfers for two. 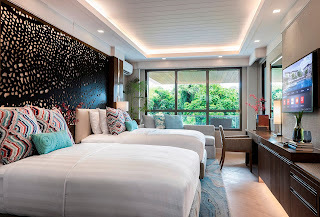 Also, for the past couple of months, Discovery Shores Boracay has been quite busy sprucing up the property, with refurbishments done in all guest rooms for a fresher, modern, yet inviting look that is sure to delight guests. Similarly, the popular dining outlets of Discovery Shores Boracay—Sands and Indigo—were also given a makeover, along with the front office reception area. Now if you think that that’s all there is to it, then you’re in for something extra special: the Signature Suites, offering new levels of luxury never before seen or experienced on the island, bringing unique services and unparalleled experiences to the island’s most discerning visitors. And it does not end there. Discovery Shores Boracay is also thrilled to introduce an all-new dining outlet called Forno Osteria that serves scrumptious Italian fare in a friendly, relaxed atmosphere as well as a rooftop lounge that offers breathtaking views. Return guests and loyal patrons will also be pleased to know that the warm, familiar, and attentive staff that has taken extra care of them each time will all be there upon reopening, after they were momentarily reassigned to other Discovery properties to allow them continuous employment. The Discovery Group is proud that no jobs were lost throughout the island’s closure, with staff all eager to be of service again. Discovery Shores Boracay is accepting reservations for stays in November 2018 onwards. For more details, call the Manila Sales and Reservations Office at (632) 720.8888, 719.6692 to 6695 and 6697 or email reservations@dsb.discovery.com.ph.